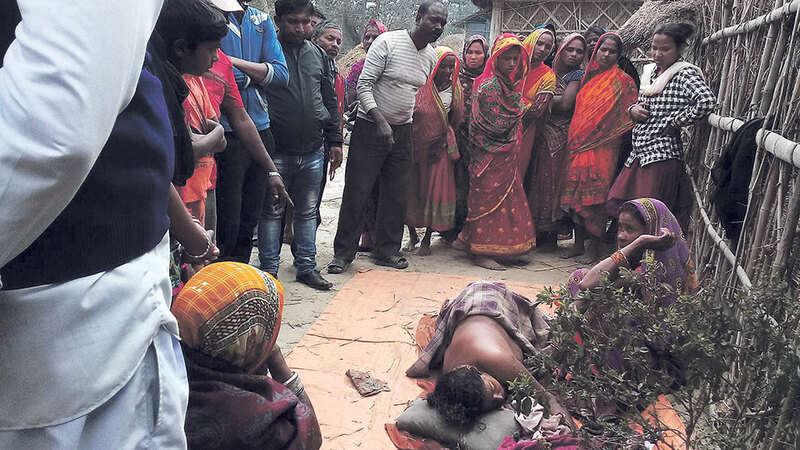 SAPTARI, Feb 14: Two women were trampled to death by a rampaging wild elephant of the Koshi Tappu Wildlife Reserve (KTWR) which entered their settlement in Saptari on Tuesday. The deceased has been identified as Durgadevi Mukhiya, 45 and Manjudevi Sah, 35, of Pathari in Kanchanroop Municipality-5. Both of them were attacked by the elephant while they were collecting cow dung cakes in a field nearby their house. They had died on the spot after the attack. Their bodies have been taken to Rajbiraj-based Gajendra Narayan Singh Sagarmatha Zonal Hospital for postmortem. Wild tuskers from the KTWR have killed six persons in the last 14 months, informed Ram Prasad Sah, conservation officer of the reserve. Dozens of villages of Hanumannagar, Kankalini, Kanchanroop and Saptakoshi Municipality have been constant targets of wild elephants for over a decade. Locals have time and again staged demonstrations with the objective of drawing the attention of responsible authorities. "The law does not allow us to kill elephants and chasing them away is very difficult," said one of the officers of the reserve. A few years ago, after continuous pressure from the victims, the reserve administration and police had announced that they would erect electric fences to prevent elephants from entering settlements, but the announcement remains unfulfilled. Roshan Sah, a victim of elephant attack, said there is no sufficient food for the elephants in the reserve so they enter the settlements. Locals living in the buffer zones often have sleepless nights. Caption: The dead body of one of the women who was killed by an elephant on Tuesday. RAJBIRAJ, Dec 26: A person has died after being attacked by two wild elephants in Saptari district on Saturday night.